Have you noticed how busy people are these days? 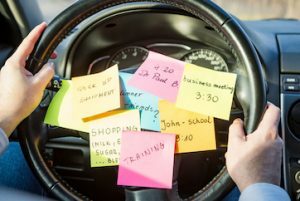 There are many different kinds of “busy.” Just like the Eskimos have many different definitions for “snow,” we need to differentiate between the different kinds of busy. Here is a list of “busy”—the good, the bad and the ugly. Which “busy” are you? This means you’re going after a goal, and strictly focused on executing that goal. It means your team knows what the goal is and knows what the priorities are for hitting the goal. This is good-busy if the team is working in lockstep and everyone knows his or her role and goals in the business. This means you’re getting a lot done with your time. Perhaps you have many clients to service or a large backlog that you’re working your way through. Or it can mean you’re following the 20-80 rule, and you’re doing the work that is most important, and delegating (or simply not doing) the rest. Busy/productive should show up on the bottom line and in the growth of your firm. This means you’re getting ahead of issues and building the business. You have time to visit key customers, meet with your peer group and network with influencers. When done right, this is the best kind of busy, and it should make your firm more competitive. This means you’re growing in a new direction, adding new services and figuring them out. This means your team is trying out new methods for executing the work. It also can mean you’re expanding into a new geographic area. Busy/innovating is good-busy because it will drive your profits. This means you have big complaints and snafus, quality issues or contract completion issues that are consuming your time. This means your employees or customers are screaming, your banker is screaming or other stakeholders in your business are screaming. It also can mean you did poor planning, and now you’re paying the price, responding to the poor planning. This is “attention deficit disorder” busy. This is due to not following through on your plans and constantly creating new plans and new directions. It also can mean you’re easily distracted. You thrive on chaos and it keeps you busy. But your employees don’t. This means your systems force you to do double or triple work. This is the kind of busy work that consumes a department or whole company and stops it from growing. This means you have gone way past the 20-80 rule, and you are working on too many tasks, unfocused and without great results. You need to get perspective on what you are working on—on what is important right now to grow your business. Jeffrey’s Breakthrough Idea: Everyone is busy—though some are super productive and are taking off in their careers and businesses. What kind of busy are you? Take Action Now: Eliminate “busy work” and “double work” so you have more proactive time to reengineer and eliminate the “firefighting” work. Spend more time working on the business, building the business and enjoying the fruits of the business.